This is one of those times that you have to make a mess in order to create a cleaner and more organized end product. Stick with it and it will be well worth it in the end. It might feel tedious, but trust me, it’ll help you get rid of things lurking in the back corners and relieve more of the burden of clutter you’ve been bearing. Pile like things together: summer tops, sweatshirts, jeans, dresses. Doing so will make it easier to see where you have an overwhelming number of items in a category. Put everything that doesn’t belong in the closet in another pile, and all the trash either in a trash can or in a pile to be thrown out after you’ve finished organizing the closet. 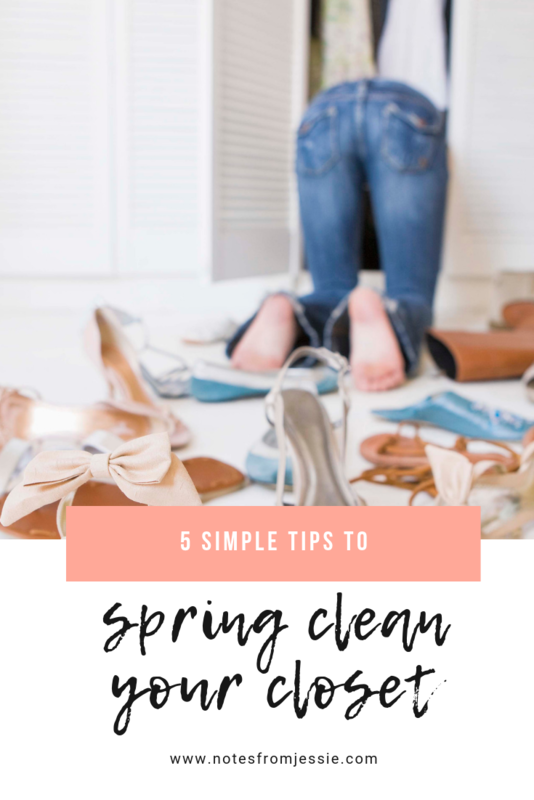 Cleaning out your closet is different than cleaning out the rest of your home because with the rest of your house, you can simply look at things and know if you want to keep them or not. But when it comes to your closet, there are some other things to take into consideration, and it often takes actually trying on each piece to see if it still fits and if you still like it. I can’t tell you how many times I’ve looked at a closet full of clothes and thought there wasn’t a single thing I’d be willing to part with, only to create a pile of a dozen or more items once I pulled everything out and took the time to try each piece on. There’s something convicting and hard to ignore when you put on a shirt that has completely lost its shape or faded beyond recognition that causes you to be willing to get rid of it— simply looking at it doesn’t always do the trick. If you have a hard time making these calls yourself, you can bring in a friend or family member to help you! Would I buy this today if I were trying it on in the store? Would I want to run into an old friend wearing this? Do I wear it enough to make it worth the space it takes up? Chances are, these things don’t get done often because your closet is typically full and other people don’t really see it. So take this opportunity to clean it out and give yourself a fresh start! Turn on your favorite music, audiobook, or podcast, and just go crazy cleaning your space before you put things back in it. Take out clothes that are too big. Take out clothes that are too small. Take out clothes and shoes that are too worn for you to want to be seen in public wearing them. Take out items you haven’t worn in the last year. Take out items that make you feel bad (jeans you’re hoping to fit back into one day that just make you feel shame for not being that size anymore, expensive items you no longer like but know you spent a lot of money on, gifts from others you keep because you don’t want to offend). Of course, there may be exceptions you make, like keeping your wedding dress to pass on to your daughter or pregnancy clothes if you think you might have another child (or pre-pregnancy clothes if you’re currently pregnant). But holding onto too many things that you aren’t currently using (or realistically going to use this year) is just wasting space physically in your closet and mentally in your head every time you see them. Imagine the freedom you can experience by letting those things go and making room— room to breathe in the space you’ll create and room for other things you will actually use! That freedom is 100% worth it, my friend! Organize in the way that makes the most sense to YOU. We’re all wired differently, and depending on what makes most sense to you and most sense for your space, some of these options might work better than others. Consider using closed storage bins on high shelves or under your bed. Think about trying open shelving or hanging cubbies for delicate items like sweaters (that often lose their shape or get shoulder indents if they get hung up). Try hanging your jeans and then try folding them in a dresser drawer to see what you like better. Color-coded or organized by season? Out-of-season clothes kept in the closet or stored away? These are questions and options that have no clear right or wrong answer for everyone. It’s not a one-size-fits-all thing. It’s open to your interpretation for your life and your space! I personally keep all my clothes in my dresser and closet year-round because I dress in layers and wear most of my clothes in every season, so it’s more convenient to have them all accessible. I like organizing by color so I know where everything is and so it looks pretty to me, but that’s just my personal preference! I like to fold my sweaters and store them in a hanging organizer so they don’t get hanger marks, and I fold my jeans and pajamas and workout clothes and put them in my dresser drawers stacked horizontally instead of vertically so they’re not piled on top of each other and I can see everything I have without digging through piles. So get experimenting, try some things out, and see what works for you! 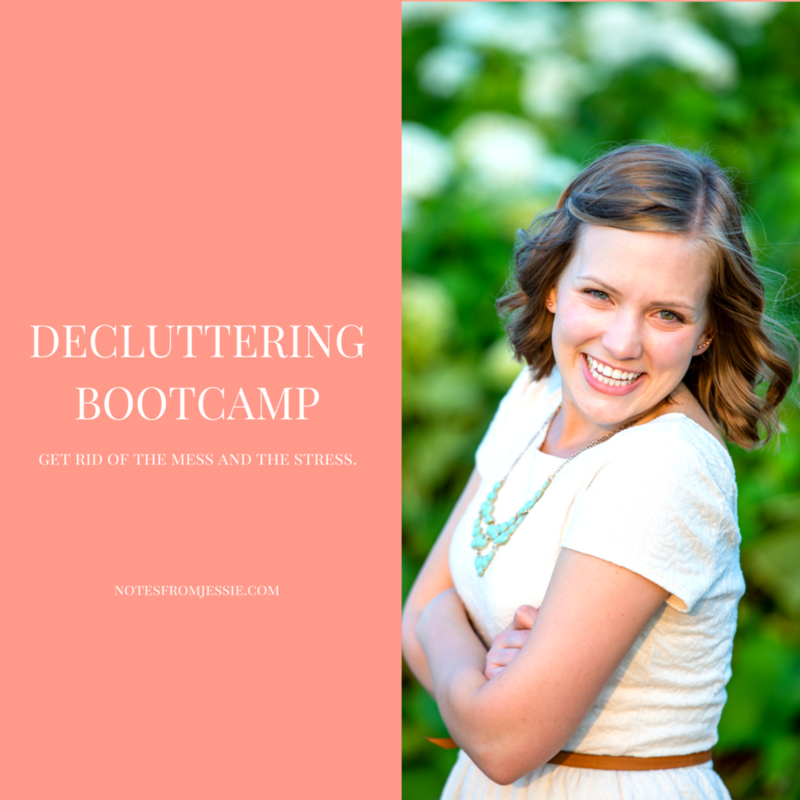 And to really conquer the clutter in your home, check out Decluttering Bootcamp for free! I want to declutter and find peace!